I have made Emma from an old jeansskirt. 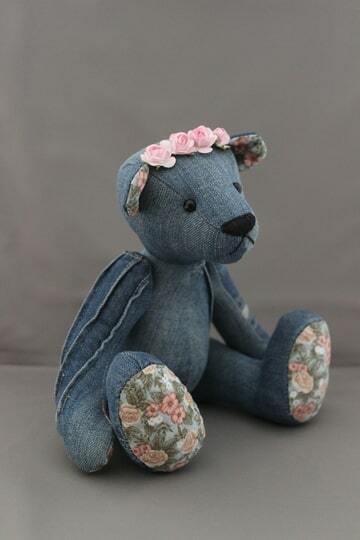 Emma has the same quilt fabric as my nominated bear Blue Vintage, in her hair she has light pink roses. Emma was really great too make, hope you can see that and you like her! !